Do You Need a Snap-On Smile? What if you could literally change your entire smile in a matter of minutes? Many adults who feel self-conscious about crooked, discolored, and missing teeth would jump at the opportunity to transform their mouths. The Snap-On Smile can actually make it a reality! 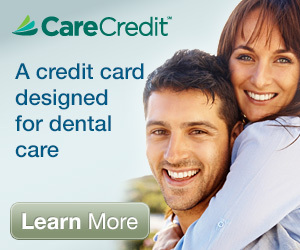 This patented and painless technology offers a smile makeover in minutes. How Does the Snap-On Smile Deliver Results? 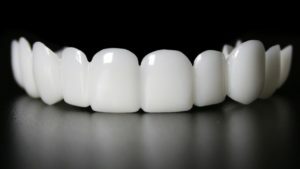 The Snap-On Smile is best for patients who need restorative dental treatment but can’t afford the costs or aren’t ready to devote the time and effort required for dentures or implants. This temporary removable tooth solution is made of high-tech dental resin to form a thin yet strong band of teeth. The Snap-On Smile fits right over existing teeth to create the look of a flawless smile. Though it cannot replace implants that preserve the form and function of the mouth and jawbone, it improves the mouth’s cosmetic appearance quickly and easily. If your dentist offers the Snap-On Smile, you will work with him to select the style and shade of your new smile. Your dentist will ensure that everything complements your existing teeth and jives with your mouth structure and facial features. An impression will be made of your teeth and used to shape your Snap-On Smile. After just a few weeks, you’ll return to have your new smile fitted. If you like the way it looks and feels, you can wear it home and begin smiling without hesitation! First, the Snap-On Smile only requires two short and painless dental visits to acquire. No shots, drilling, or invasive treatments! People of all ages can receive the Snap-On Smile, especially people with gaps, crooked or missing teeth, stains, or other imperfections. It is the ultimate cosmetic solution to help you temporarily solve embarrassment and frustration about the appearance of your teeth. Obrochta Center For Dental Health in St. Petersburg is proud to offer the Snap-On Smile to give all patients a beautiful white smile they can feel proud to show. Dr. Obrochta has years of experience working with the Snap-On Smile technology and can expertly provide an appliance that looks natural and attractive. Call (727) 321-4464 today to learn more and make your first appointment!